Discussion in 'General' started by Lee Davey, Mar 17, 2018. With the help of my father's WW2 service record, I'm putting a list of locations together that I'm hoping my 10-year-old son & I can follow. I've seen bits and bobs relating to water proofing Shermans variously about. The 24th L - I think did their final waterproofing at Milford-on-Sea, Hampshire. There's a painting by Montague Dawson made in April 1944 - showing this. 16/1/44 The Regiment returned from Kirkcudbright ranges. Apart from events mentioned below, normal training continued throughout the month, together with intensive training in waterproofing and wading ‘A’ & ‘B’ Vehicles. 4th February 1944: From now on the Regiment is sending groups (4-5 at a time) of officers and men to “Water-proofing” courses – chiefly to Dundonald in Scotland. Major M. Haycock M.C. assumed command of the Regt. as Colonel IFM Spence M.C. left for the Firing Camp today. & 25th February 1944: The Regiment is now concentrating on training men on vehicle waterproofing. It is intended that one driver to every 3 A + B vehicles shall be trained by 11th March. A conference dealing with this was held in the morning. Major Howson-Lawson was posted to the Regt from the 23rd Hussars. With some details, for them there. Nb. the 24th L were using the wading Shermans and two squadrons of the SRY were of the DD floating type. Lee Davey, CL1 and von Poop like this. 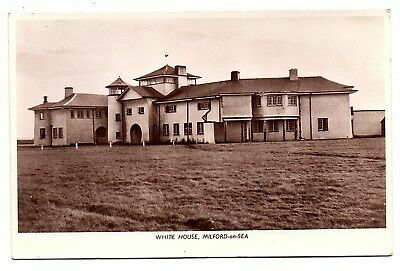 "We started the build up months before we moved close to Southampton, New Milton was our town, no civilians were there, so work of sealing etc. went on in the streets. We had one dummy run into Southampton then in May we moved into Camp 13 south of Newbury, There we were told that once in this camp there was no out. No leave, no pubs, there was twelve feet of wire and outside were Yanks about every ten yards, with guns." The painting by Montague Dawson - "Waterproofing and stowing Shermans, Milford-on-Sea, Hampshire, April 1944" is reproduced on page 63 of "None Had Lances - the Story of the 24th Lancers" - I don't think I have seen a copy of it as yet online, but there might be one somewhere. The ref. to it in the list of illustrations in NHL says it is/was apparently the property of the 17th/21st Lancers. There's some great detail in it, including at least 20 or so 24th Lancers involved in various activities and at least 3 Shermans, one of which is obviously of "A" squadron of the 24th Lancers, by the turret markings. Lee Davey and CL1 like this. Thanks Ramiles, and thanks for including your grandfather's written account. Milford-on-Sea fits well with the New Forest link as I believe the New Forest was used widely as a build-up area for D-Day vehicles. I did see a photo of vehicles 'hiding' under tree-lined roads in the Forest but, unfortunately, I can't remember where I saw it! The building in the background in Dawson's picture is the former Sanatorium (for TB therapy?) at Milford-on-Sea. 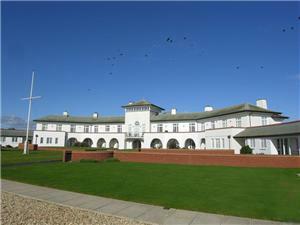 It's now been converted into some rather nice seaside apartments. Lee Davey and Ramiles like this. Thanks SDP. Would that be the semi-circular building on the sea front? Yes.....and very impressive it is too. I'm fortunate in that I have some photos (not currently in digital format so I can't upload them at the moment) before and after the conversion to apartments taken from the same position as when Dawson painted the picture. I might start a new thread about Milford - it's not really the topic for this thread. A4 scan of a photograph of a painting by Montague Dawson. Letter from The Queen’s Royal Lancers Regimental Museum agreeing to the use of the image subject to crediting the museum. 15inch x 10inch photograph of painting in A3 file."